Build your audience with professionally written, unbiased, objective, and trusted editorial book reviews from Chanticleer. Professionally written editorial book reviews are one of the most powerful tools available to authors for boosting discovery, increasing book sales, and growing readership. Don’t just wait to accumulate more reader reviews in the months after you publish, have an objective and professional review ready to go before you publish. Gain the trust of readers, and open doors to agents and publishers–demonstrate your book’s worthiness. In 2019, it is predicted that more than two million new titles will vie for the Reader’s attention. How will your book get discovered? “Chanticleer’s review of APE: Author, Publisher, Entrepreneur was a key component of its successful launch. 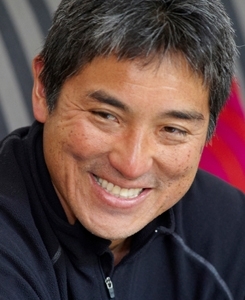 I would recommend CBR to authors who are passionate about their craft.” — Guy Kawasaki, NYT Bestselling author of Enchantment, Art of the Start, What the Plus! Google+ For the Rest of Us. More Chanticleer testimonials. What is Chanticleer Book Reviews? Affiliated with: Alliance of Independent Authors, IBPA, and writers associations, including AWP, PNWA, WWP, UCWA, Sisters in Crime, and others. Chanticleer Book Reviews was established in 2010 when independent authors were still treated unfavorably by many in the book industry, including editorial review companies. Chanticleer was founded on the principle that all authors deserve an equal chance at success. Today, indie authors are finally winning the respect they deserve and Chanticleer remains the young upstart, championing the new, the innovative, and the leading edge of the book industry. Bottom-line, we love books and we want authors to have the success and respect they deserve. What do I get with my review from Chanticleer? Each work is given an objective, editorial book review of approximately 350-700 words, including a Leader Quote at the top of the review, which can be used as a stand-alone marketing quote. The review is summed up by a closing paragraph, which gives author’s credentials (if appropriate), the rating and opinion of the work by the professional reviewer, and if it is part of a series or not. Each work is given a fair and honest review. If the review is not positive, the author/publisher may choose not to let the review be posted or published. The review is the property of the author/publisher who purchased it, and may be used, or not, in whatever manner they choose. If the review is not positive, the review editor will give constructive feedback to the author and/or publisher. We cannot and will not guarantee a positive review, but we can promise an objective and unbiased evaluation of a work. Why pay for a review? Imagine you have finally finished your book. You typed “the end” and then endured the endless torture of edits and changes. The cover and book design are done, and it’s time to publish. You thought the hard part was behind you. Then, whether you are indie or traditional, you must promote your book. After all, nobody cares as much about your book sales as you do. There are precious few ways to invest in the promotion that yield actual results and will not take up all of the time you should be using to write that sequel. Reviews are one of the most powerful tools in your belt. Reader reviews take time to come in and you must absolutely never pay for a reader review! Paying for a professional, unbiased, editorial review is an acceptable practice within the industry and, if you receive a positive review, will present your book in its brightest light, right from launch day. Reviews are advertising at the point of sale, whether on retail websites or on the dust jacket of the book in readers’ hands. Readers use editorial reviews to make the decision to purchase. How much does a Chanticleer Book Review cost? Standard book review service (six to nine weeks) costs $425. If you need a review sooner, you may purchase expedited service (three to five weeks) for an additional $150. First and foremost, present us with your best work. Works will be evaluated on many factors including editing and formatting, so make sure your submission is your tip top polished draft. What do reviewers look for when evaluating a book? Neither cover design nor publication date will affect your review. Our reviewers evaluate novels on their content and merit. Note: Although works are not evaluated on cover design, however, a good review may never be seen by your potential readers if you do not first have a snappy cover to entice them! Our review team is comprised of experienced editors, as well as other authors, journalists, booksellers, librarians, professors, and avid readers, from all across North America, selected for their expertise in specific genres. While they uphold the time-honored publishing traditions that readers have come to expect, they maintain an open-mindedness for emergent ideas, talent, and creativity in the field of literature, media, and publishing. Chanticleer selects the best reviewer for each particular work, taking into account: genre, the style of the author, and the preferences of the reviewer. Our reviewers all share a passion for good books and the authors who write them. Our mission is to help good books get discovered! What Happens When the Chanticleer Review of My Book is Complete? We will present the Chanticleer review of your book to you first, and it is for you to decide if you want to go public with it. Or not. If you decide to publish the review, we will submit it at multiple retailer sites and promote it in multiple forms. And so should you! Plaster it all over your book cover, use the editorial review section on book retailer pages, and blast it out on all your social media. A Chanticleer book review will belong to you to use as you see fit to promote your book. 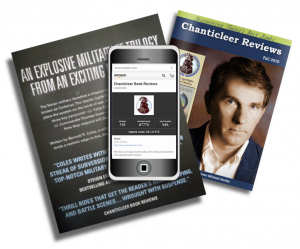 All that is required is that you give Chanticleer Book Reviews attribution for the review or any blurb of the review that is used in print, online, or audio-visually. Remember, the published review is yours to promote your book. What happens if the review is negative or I choose to keep out of public view? Your Chanticleer book review may be positive or negative or anywhere in between. The review belongs to you. You have the option not to have it published or distributed to Chanticleer’s media resources and affiliations. However, you will have received honest and objective feedback that is for your eyes only. The choice is up to you. Remember, we will always submit the book review to you first. You will have the decision of whether or not to go public with it. A negative review can also be helpful. It tells you there are things you still need to fix. And in today’s world of indie ebooks, even an already published book is not a terrible burden to improve after the fact. We do not publish “negative” reviews, but we do give constructive feedback to those who submit their works for an editorial review. Is Your Book Ready for a Chanticleer Review? Chanticleer Book Reviews are for the serious author ready for professionally reviewed, unbiased, objective assessments of their work.